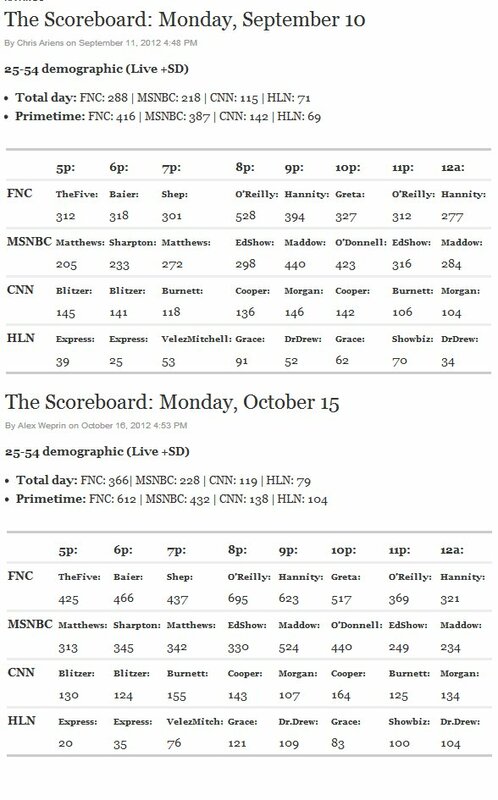 BOOM: Hey, How's That "Ignoring Benghazi" Strategy Working Out for Antique Media? Let's compare Mondays -- one before Benghazi, one after -- and remove as much noise as we can from the equation (debates, Hurricane Sandy, etc.). Fox News must be praying that the Leftist kooks running the other cable news operations continue their embargo on the biggest political scandal since Watergate. A classic, made all the more relevant by Steven Crowder's hidden camera video. 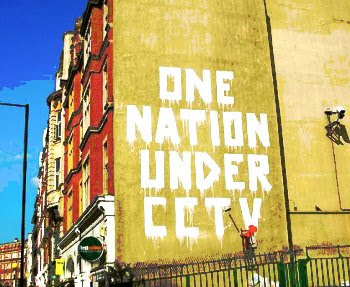 To paraphrase Glenn Reynolds, they told me if I voted for John McCain that we'd see widespread surveillance of U.S. citizens... and they were right! CNET has learned that U.S. District Judge William Griesbach ruled that it was reasonable for Drug Enforcement Administration agents to enter rural property without permission -- and without a warrant -- to install multiple "covert digital surveillance cameras" in hopes of uncovering evidence that 30 to 40 marijuana plants were being grown. As Mark Levin observes, every day we endure under this administration sees the circle of liberty tightening around us, the citizens that gave birth to this great country. You know what to do on Tuesday. You know to call your friends, neighbors and family members and to rally them, to drive them to the polls, to do whatever it takes to fire this administration and begin our journey back to Constitutional government. Clare Lopez is an international security consultant at the Centre for Counterintelligence and Security Studies. She is uniquely qualified to analyze the intelligence and defense communities not only through her current professional connections, but also because of her 20-year background with the CIA. She served for 20 years as an operations officer specializing in counterintelligence, counternarcotics, and counterproliferation programs. Today, writing at RI.org, Lopez spots a very troubling anomaly with the timeline of the Benghazi attack. And, as if there aren't enough unanswered questions about the attacks and the subsequent White House cover-up, her discovery has the potential to implicate Turkish officials in the murders. In other words, the Turkish Consul General met with Stevens -- the discussion topics of which have not been released by the State Department -- and then left the Ambassador, drove safely through a newly-established terrorist checkpoint, and disappeared into the night without warning his colleague. Lopez asserts that "it is obvious that the Turkish diplomat and by extension, his government, were at least to some degree complicit in the attack against Ambassador Stevens and the others." 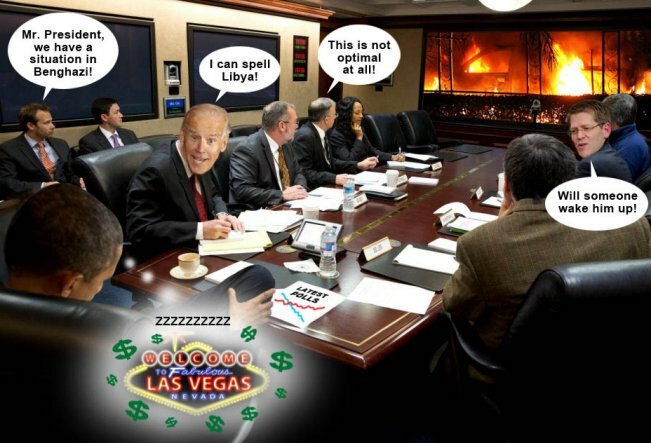 What was the subject of the discussion between Stevens and Akin? Malta Today offers some context that hints at some strong possibilities. A Libyan-flagged vessel which last year was used by a Malta-based humanitarian organisation in supplying a lifeline to rebels in Misurata, has been implicated in a covert US arms smuggling operation to Syrian freedom fighters, which may also be linked to murdered US ambassador Chris Stevens in Benghazi last month. The ship 'Al Entisar' which was chartered last year by I-Go Aid Libya, then run by businessman Mario Debono, has been reported to be linked to last September's attack on the U.S. Consulate in Benghazi. 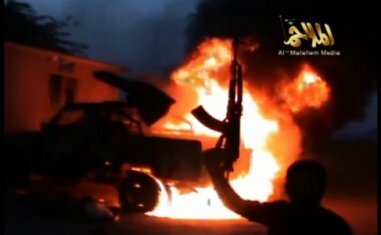 A Fox News investigation revealed that shipping records confirmed that the Al Entisar entered the Turkish port of Iskenderun, some 35 miles from the Syrian border, just five days before Ambassador Chris Stevens, and three other US officials were killed during an assault by more than 100 Islamist militants on the US Consulate compound in Benghazi. ...The cargo reportedly included surface-to-air anti-aircraft missiles, RPGs and Russian-designed shoulder-launched missiles known as MANPADS. The ship's Libyan captain reportedly told the Times of London that "I can only talk about the medicine and humanitarian aid" for the Syrian rebels. It was reported there was a fight about the weapons and who got what "between the free Syrian Army and the Muslim Brotherhood." A reasonable person would deduce from these stories that the United States was running weapons (does "Fast and Furious" ring a bell?) from Libya to Syria using Turkey as a go-between. The end result turned out to be a complete disaster -- like everything this administration attempts. The Libyan weapons likely went to the Muslim Brotherhood and a Turkish diplomat appears to have helped set up the assassination of Ambassador Stevens. We simply don't know whether the government of Turkey itself was involved with the double-cross or whether Akin was a Brotherhood sympathizer who helped set up the attack. The families of those murdered deserve answers. America deserves answers. And we can start the interrogatory by firing this administration on November 6th and launching a full-scale Congressional investigation. We don't have to take this s*** any more. Note: You can get all of the latest Benghazi headlines at BadBlue.com, the real-time news service that automatically finds the stories antique media doesn't want you to see. 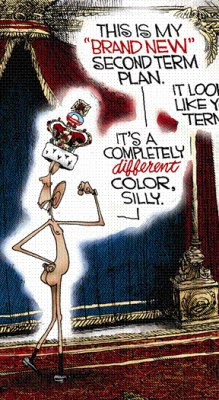 Larwyn's Linx: Did Obama Withhold Cross-Border Authority? QOTD: "The Benghazi coverup is much worse than you think. 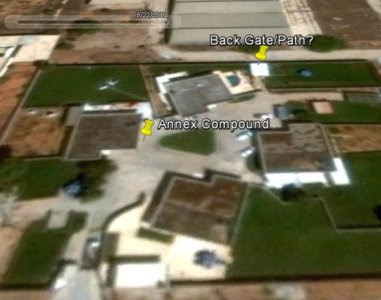 Clearly there were air assets on the scene above the CIA annex and they were denied permission to fire. 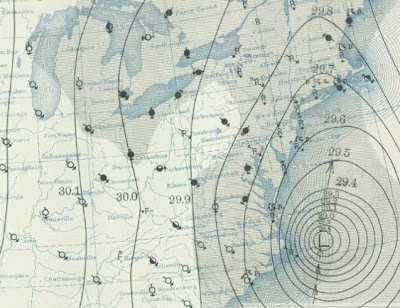 I refer, of course, to the New England Hurricane of 1938. 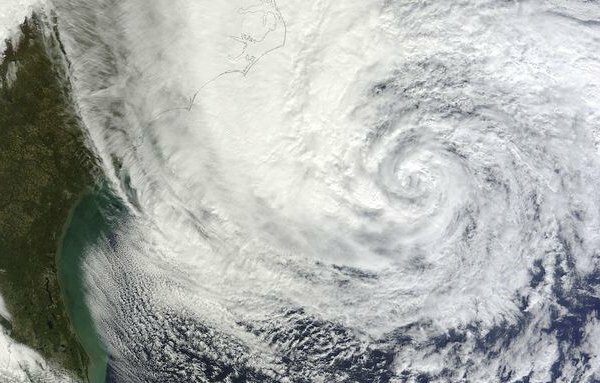 ...The hurricane was estimated to have killed between 682 and 800 people, damaged or destroyed over 57,000 homes, and caused property losses estimated at US$306 million ($4.7 Billion in 2012). Even as late as 1951, damaged trees and buildings were still seen in the affected areas. It remains the most powerful, costliest and deadliest hurricane in recent New England history, eclipsed in landfall intensity perhaps only by the Great Colonial Hurricane of 1635. Whether or not "global warming" was to blame for the 1938 (or the 1635) storm I leave as an exercise for the reader. Related: Scientists reject Sandy-Climate Change Link. Stanford Fellow Victor Davis Hanson offers a historian's perspective on the catastrophe in Benghazi. 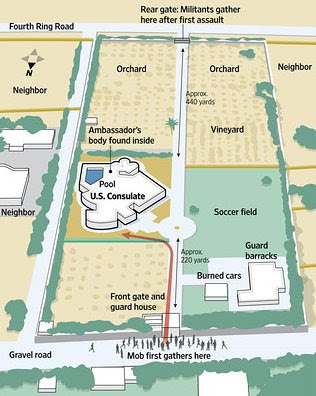 ...In such a landscape, Ambassador Stevens and three other Americans were brutally murdered. And almost immediately it was clear that the ambassador had earlier warned that Libya was descending into chaos and that Americans were not safe there — only to have his requests for further protection rejected. Hanson's next column should deal with the historic malfeasance of old media, a wholly owned subsidiary of the federal government. MarchFourth Marching Band kicked off the show with a stunning visual performance. 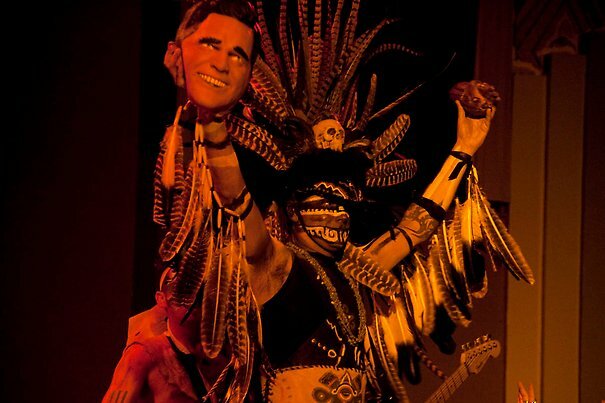 ***’s Day of the Dead/Mayan Apocalypse theme came to life with a “sacrificial ritual” of a band member in a Mitt Romney mask. A "Day of the Dead" theme "came to life" through the portrayal of a ritual murder? I redacted the name of the band. They don't deserve to be mentioned. 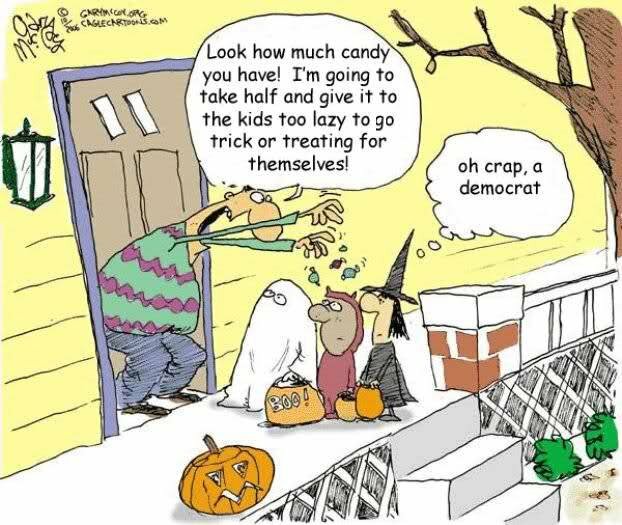 Because these punks don't have the cojones to depict the ritual murder of a Democrat. PHOTOS OF NEW YORK'S SUBWAY SYSTEM: "the most devastating event to the city’s subway system ever"
As everyone who has been to New York City knows, without its underground arteries - the subway system - the city is if not dead, than certainly in an indefinite coma. By that logic, New York will not get out of the critical ward for many days, because hours ago the head of the New York City’s transit system just called Hurricane Sandy "the most devastating event to the city’s subway system ever." 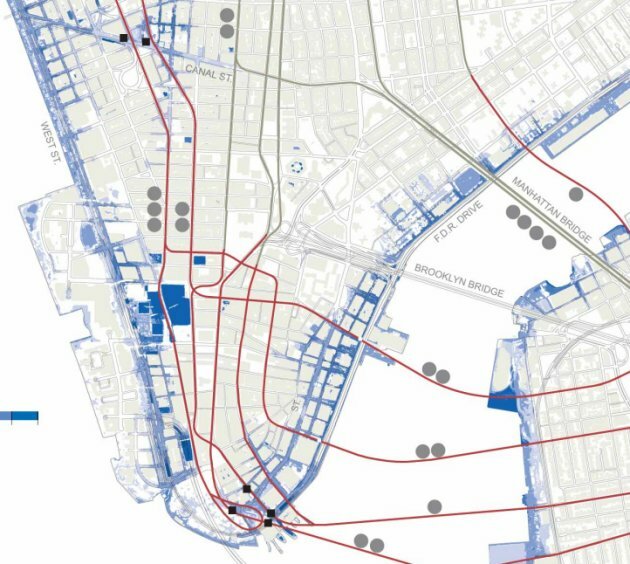 At last check seven subway tunnels under the East River had flooded, as did the Queens Midtown Tunnel—and Metropolitan Transit Authority chairman Joseph Lhota said there is “no firm timeline” for when the system would be back up and running. 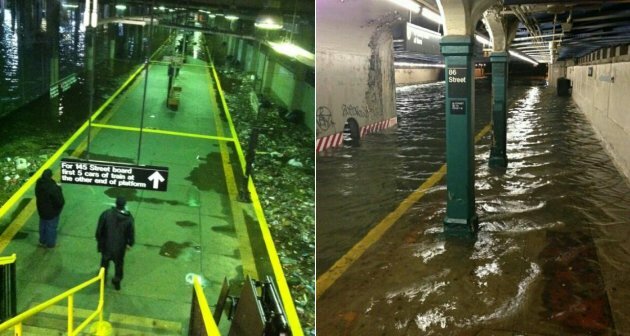 According to other MTA employees it would take between 14 hours and 4 days just to pump the water out of the subway system. We'll take the over. And don't ask what happened to all of the rats. 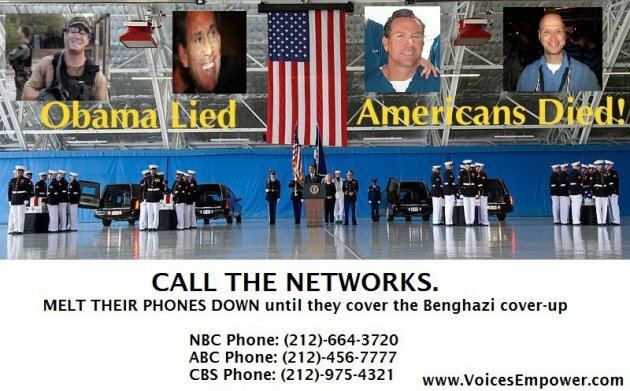 Larwyn's Linx: Benghazi-gate: What is being lied about, going unasked? Today's Larwyn's Linx sponsored by: Make Calls for Romney-Ryan! ...I know that there are his sycophant defenders who are going to say "Whuh! Did you want the Delta Force SEALS to HALO rappel from the Space Shuttle and use their death rays and then use the Flux Capacitor to beam themselves to America?" 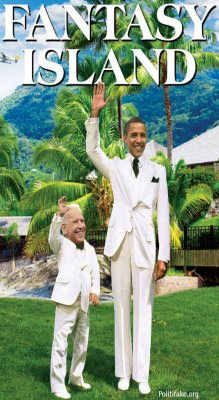 No trolls, I expected them to do their job and give the Ambassador the assets he needed to be safe in the first place, but barring their lack of testicular fortitude to do that, I would expect that they would use whatever they had at their disposal to aid the living and destroy our enemies. Delta Force could have rigged in-flight for a jump into the nearest DZ that would have gotten them into the fight to be followed by heavier forces from Italy. AFRICOM SOF assets on the Horn Of Africa could have planned on the helo flight there, Fighter Jets, land or carrier based, could have been there early on and established a presence and put human eyes on what was happening. Who could have predicted that attaching your brand to an inexperienced, Alinsky-trained community organizer would turn out badly? Pepsi paid Arnell Group an outrageous $1 million for this logo, which isn't drastically different from its predecessor. ...Coupled with Pepsi's new slogans -- "Yes You Can" and "Choose Change" -- the company was criticized for copying Obama's award-winning campaign and aligning itself with it at the same time. Pepsi CEO Indra Nooyi, in the job for about five years, was reportedly a huge Obama backer and behind the re-branding decision. Brilliant strategy: piss off half the country with your brand. I'd rather drink tap water than a Pepsi. 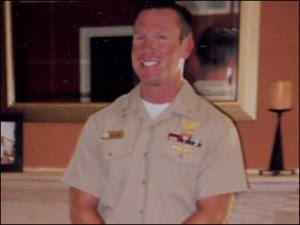 ...Tyrone Woods and Glen Doherty disobeyed orders to “stand down”... they instead “walked” while under fire to the Annex compound. ...When Woods and Doherty safely secured the 20 to 30 employees back in the annex they took up positions on the roof, and Woods engaged communication traffic... “Where the f*** is the Spectre? 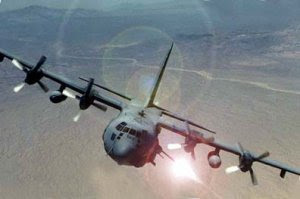 ?, referencing the AC-130 gunship he anticipated would be overhead by then. Obviously it was never sent. We still don't know. The President -- who is reported to have witnessed the attack live -- won't say. And the White House Briefing Room has been closed for two weeks, so no one can ask the lying hack Jay Carney. They're in total cover-up mode. Meanwhile, the State Department and the Intelligence Community are disavowing any responsibility for refusing Doherty and Woods backup. The local station chief is reported to have said, "Hell yes, we asked for help! ", referring to multiple requests for an AC-130 or a rapid response force to assist. "Hell yes, we asked for help!" See. That right there was the mistake. Then the lobbyist could have sat down with Jarrett or Axelrod over lunch and talked about all the exciting green energy ideas the consulate staff had come up with in their free time -- but before the pols in D.C. could get rich cashing in on those ideas -- the administration would first have to save the lives of the consulate staffers. 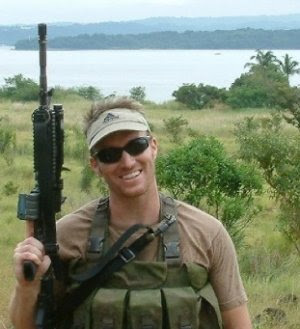 Rest in peace, Ty Woods and Glen Doherty. We won't forget you. And we won't let the most incompetent, partisan administration in American history forget you either. Creaky, Partisan, Antique Media Finally Wakes Up: "President Obama has a problem with independents"
And the owners of The New York Times and The Washington Post wonder why their papers are bleeding out? For months, independents have been breaking for Romney by double-digits, yet only within the last couple of days has vintage media seen fit to report this inconvenient truth. Now even if Democrats match GOP turnout -- which is unlikely -- the margin of independents breaking for the GOP are going to make Nate Silver look like Nostradumbass. Just like 2010. But that's why they're called "vintage media". Today's Larwyn's Linx sponsored by: Make Calls for Mitt Romney! QOTD: "Stephen K. Bannon’s film “The Hope and the Change” is a very powerful force in this election…and would have an even bigger impact if we could get people to watch this movie who REALLY need to see it. 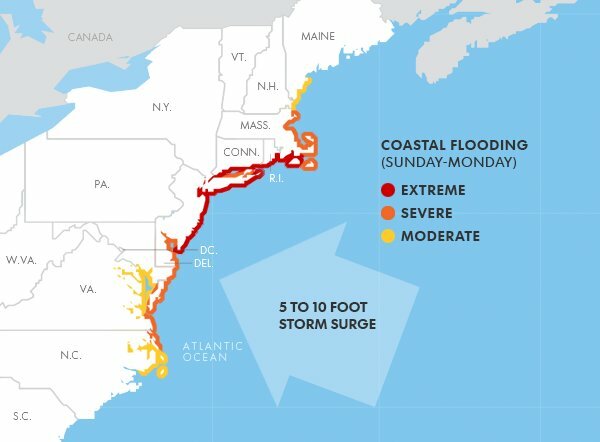 • From USA Today, approximate storm surge levels across the East Coast. 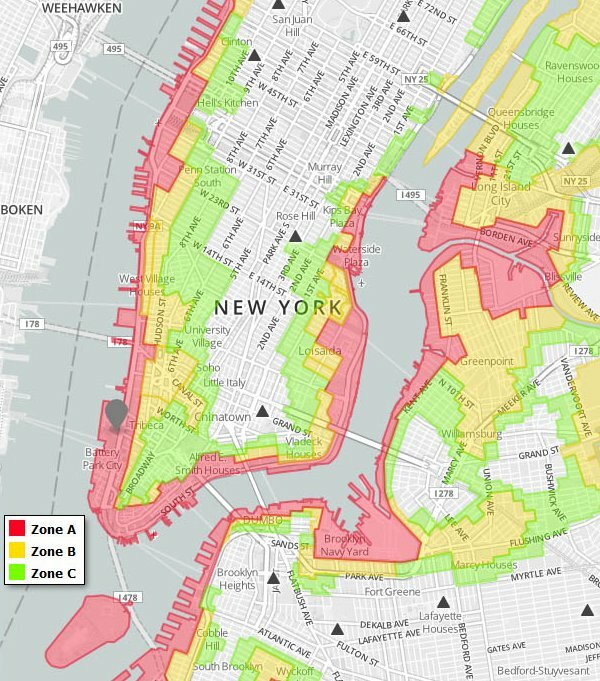 • From Zero Hedge, an evacuation map of Manhattan (Zone A, in red, has been ordered evacuated). 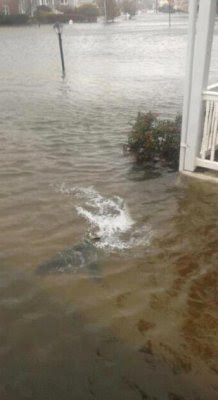 This storm is a monster. GOSH, WHICH COULD IT BE? "Either Fox is making stuff up, or the administration is lying through its teeth"
Rick Moran deconstructs the latest Benghazi-gate revelations and finds only one possible scenario: the White House is lying. The CIA is denying. The Pentagon is denying. And now the White House is denying that anyone refused to send help to our embattled CIA and State Department personnel engaged in a seven hour running firefight with more than 150 jihadists. ...How do we know that the White House is lying about denying requests for military assistance from our beleaguered diplomats? Consider: If a news story is published basically accusing the President of the United States of standing by while Americans were killed, shouldn’t the reaction from the White House be a little more indignant? A little more agitated? Perhaps a lot angrier? All of these denials point to one of two conclusions; either Fox News is making stuff up, or the administration is lying through its teeth. There is no other possible explanation. And I would note the extraordinary detail in the Fox article, including specific communications between the various locations in Libya and national security people in Washington. If Fox is making stuff up, someone has a pretty vivid imagination. Jennifer Rubin observes that the Benghazi cover-up now has three distinct facets, none of which have been suitably addressed by the administration. Consider these tenets of the Navy SEAL Code: 1) Loyalty to Country, Team and Teammate, 2) Serve with Honor and Integrity On and Off the Battlefield, 3) Ready to Lead, Ready to Follow, Never Quit, 4) Take responsibility for your actions and the actions of your teammates, 5) Excel as Warriors through Discipline and Innovation, 6) Train for War, Fight to Win, Defeat our Nation’s Enemies, and 7) Earn your Trident every day. And Tyrone, even though you never got to hold your newborn son, he will grow up knowing the character and quality of his father, a man among men who sacrificed himself defending others. God bless America! 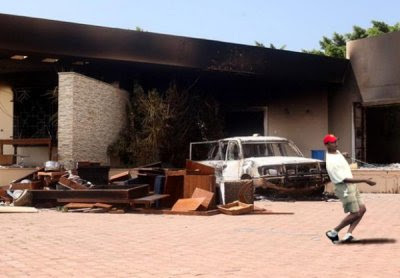 Last night, Lt. Col. Tony Shaffer said his sources revealed that Obama was one of the people in the room watching the Benghazi attack occur in real-time. This entire administration needs to go. Moe Lane says, "Thanks for playing, Barry." The writing was on the wall when Suffolk stopped polling there, but Mason-Dixon confirmed it today: it’s over in Florida and Romney will win. An exclusive Tampa Bay Times/Bay News 9 poll of likely voters along the Interstate 4 corridor finds Romney leading Obama 51 percent to 45 percent, with 4 percent undecided. 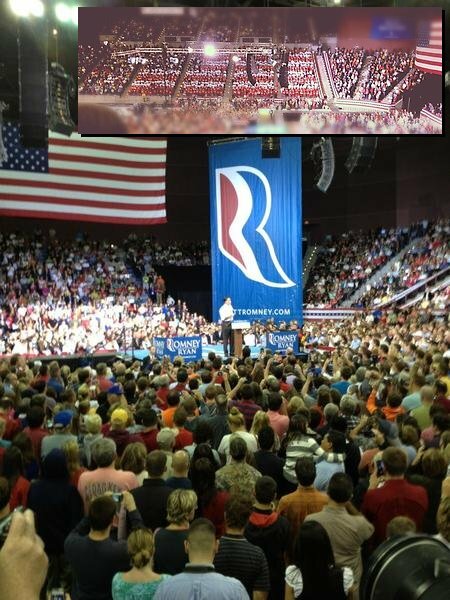 Twitchy is reporting that immense crowds formed a line a mile long to see Mitt Romney in Pensacola. According to various Twitter reports, the crowd kept chanting, "Ten more days, ten more days!" Methinks that Florida just told Mr. Obama, "See ya... wouldn't want to be ya!" Which battleground state will be next to send the president a pink-slip? Update: Ohio Newspaper Poll Has Race Tied at 49; Romney Erases 5-Point Obama Lead. Nate Silver hardest hit. 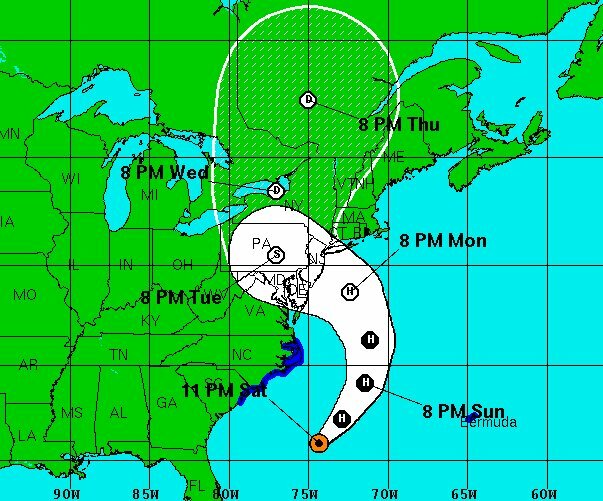 This updated tracker was posted just five minutes ago on NOAA's website. 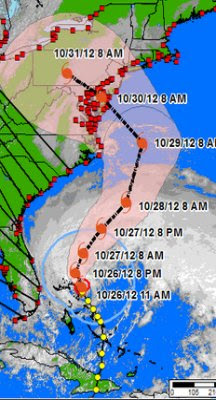 The District of Columbia, New York City, and Philadelphia all appear to be directly in the path of "Frankenstorm". HHAHAHHAHAHHAHAHAHAHHAHAHHAHAHHAHAHAHAHAHHAHAHAH *cough* HAHAHHAHAHHAHAHHA *wheeze* HAHAHHAHHAHA *gurk* HAHH -- Owww. I think I wrenched my cleavus muscle. ...it should be possible to answer these simple questions as to what the president did that afternoon and evening, and when he did it, simply by consulting White House meeting and phone records, and asking the president for his recollections. As an aside, wouldn't it be great if we had a functioning antique media? Not all Republicans are racist, homophobic, misogynistic, or xenophobic. Only 73% of them are. 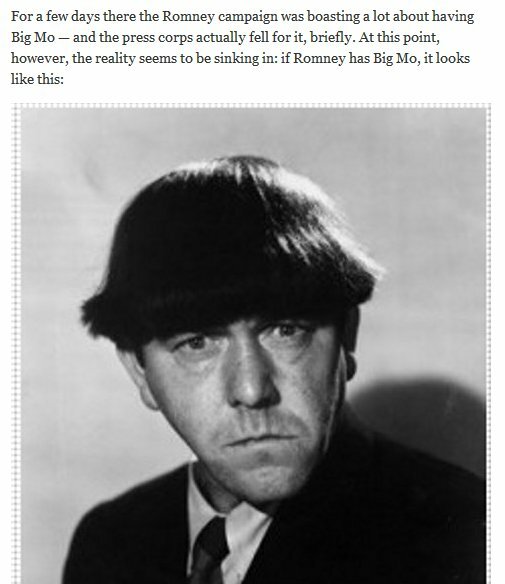 Here's another mature take, this one from the loathsome troll Paul Krugman. 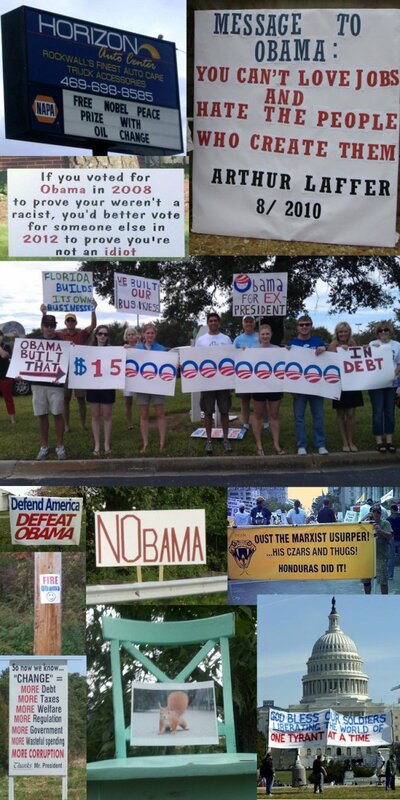 Meanwhile, back in the little land we like to call "reality", the anger of the American people is becoming palpable. Yesterday's seven-day Gallup tracker showed Romney increasing his lead overnight by two points -- 47-50% to 46-51%. The last time Romney was below fifty in this poll was almost two weeks ago, on October 14. Since the move to likely voters, Obama has yet to reach 50% in Gallup and hasn't even been able to reach 48% since October 1. ...Today's three-day Rasmussen tracker shows Romney leading 50-46%. That's a one-point increase over yesterday's 50-47%. Romney also increased his lead by two points in the Rasmussen tracking poll of the eleven combined swing states. Today the former Massachusetts governor sits at 51%, while the former community organizer languished at 45%. Those six-points represent Romney's best lead yet. Quite incredibly, Obama led this poll by three points ten days ago. That's a nine-point swing towards Romney. Oh, "Doctors" Reich and Krugman, I'm sure the unraveling Benghazi scandal will dramatically improve turnout for Democrats. 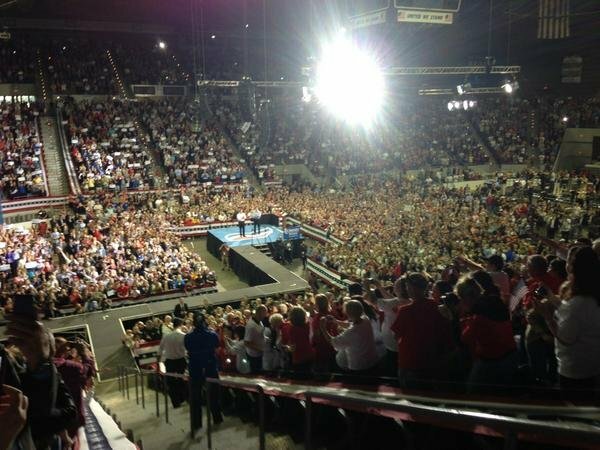 Write it down: 2010 is going to look like a warm-up compared to what's going to happen on November 6th. That's why I've been using the hashtag #Beatdown2012, and I encourage you to use it too. By Wednesday morning, Messrs. Krugman and Reich will have badly soiled their Depends.